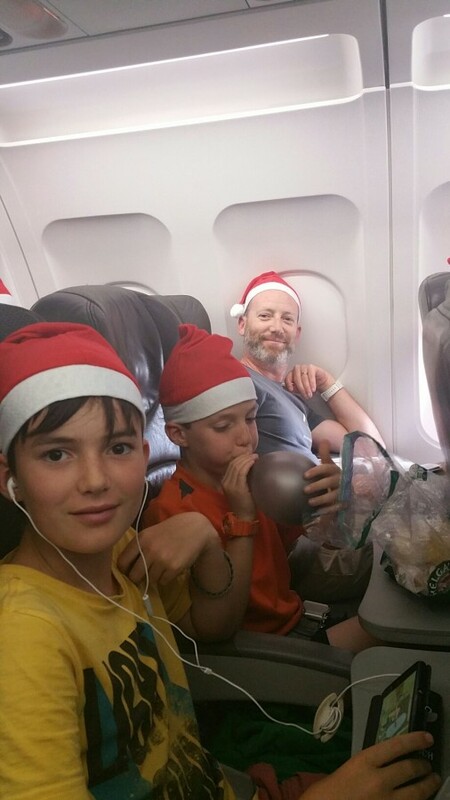 Bazaar Christmas moment on Jetstar. Hosties handed out Christmas hats and grey balloons. We have flown on Christmas day many times. This has never happened before. I wanted this trip to be a bonding experience that would strengthen us as a family. Clearing out 12 years of junk and cleaning up the house has already been a bonding experience. There was some raised voices and nashing of teeth but in the end we all worked well together. I would like to give a hugh thankyou to the peolpe who turned up at the last minute to help. Belinda who brought her ute, Jules who lifted heavy stuff with Allister, James who helped with tip shop stuff, Nanny M who roasted pork, Keir who cleaned my dishes, Marnie who made me laugh just when I needed it and Maz for absolutely everything. One and a half bikes packed and ready to go. 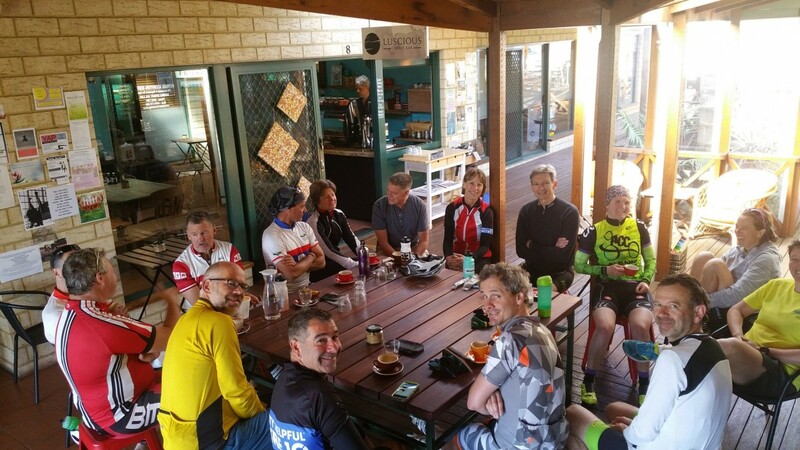 Our cycling friends having a coffee after a morning ride. Great group of people. Thanks for all of your support and advice. I have had a few people asking me about the bikes. 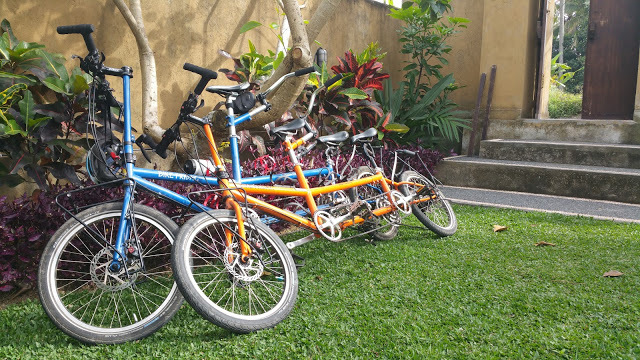 Here is a picture of them resting after a big ride in Bali. They were made by Bike Friday and they are designed for travelling. 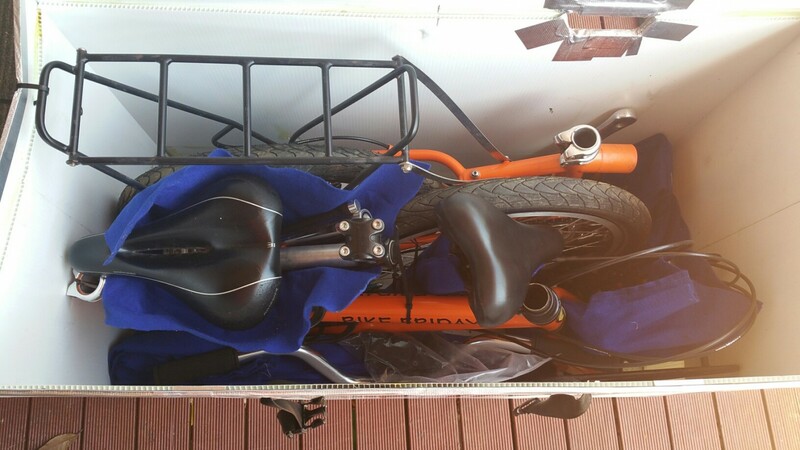 The seat and handlebar posts are telescopic and the frame can be broken down into three parts for ease of packing. The 20 inch wheels and low bike frame create an overall, low centre of gravity. 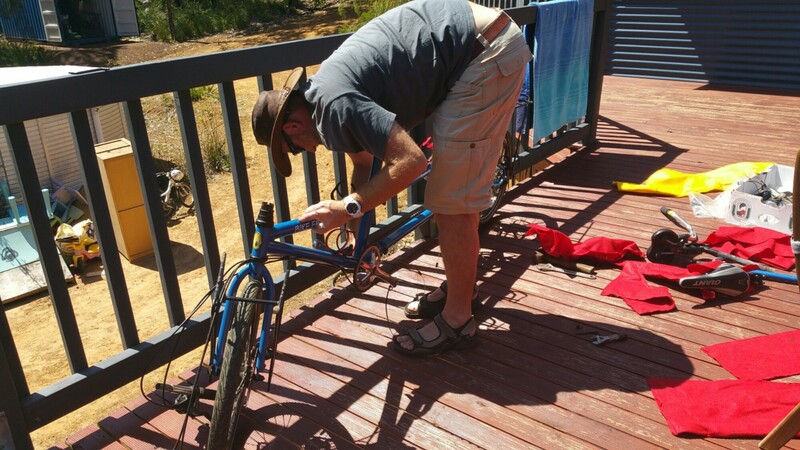 This results in the bike being very stable, especially when they are fully loaded with panniers. I have been feeling all sorts of emotions over the last couple of weeks. Disbelief, apprehension and dread being a few of them. It is the last day of work today and I am starting to feel very excited. Only 9 days to go. 14 days before we leave for Perth, where we fly out on the 25th of December to Singapore. It feels like we have endless tasks to do but most of them can not be done until the last minute. 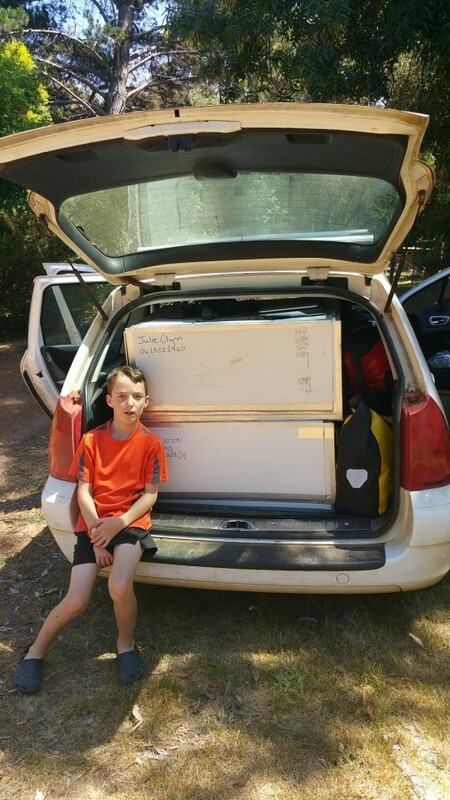 It is hard to get motivated to do the tasks that can be done now as Allister and I are still working and the boys are still at school.